Everyone wants to live life in a bubble from time to time and the Portabubble makes it easy and affordable! 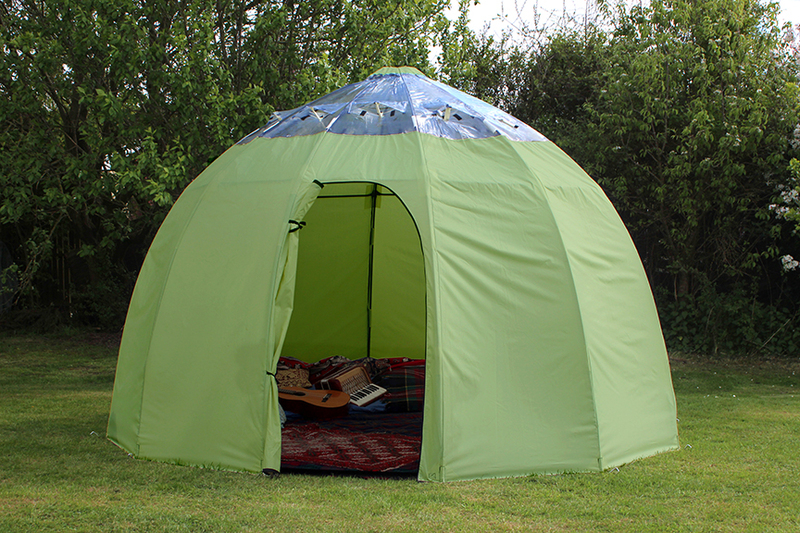 The cleverly constructed dome shape makes for maximum floor space and head room. The clear skylight is perfect for soaking up sunlight during the day or stargazing at night. 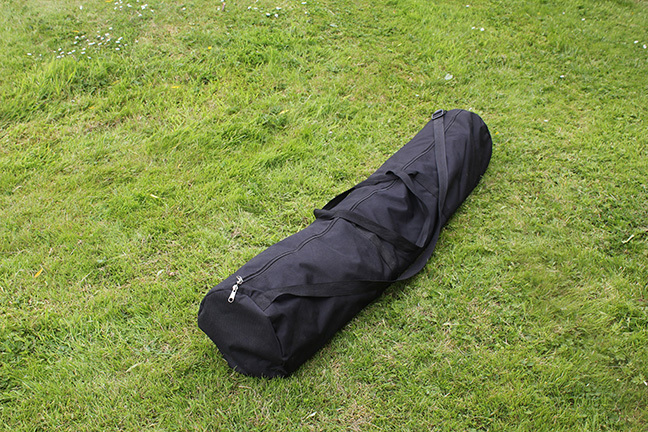 It's perfect for parties, festivals, gardens and campsites. Portabubble can be assembled in an instant and just as easily packed away and stored in its own carry bag. The tough outer canvas is made from long-lasting PE coated, nylon fabric. A sturdy zipped doorway will keep campers cozy and a waterproof ground sheet is included for extra comfort. The UV-stabilized, PVC skylight lets in the sunshine and starlight to enhance the outdoor experience. Adjustable air vents with Velcro openings props provide insulation to enhance the indoor experience! A corkscrew ground anchor and strap are provided to ensure Portabubble stays grounded in strong winds. Haxnicks is a fun and enthusiastic company that has been designing, manufacturing, and distributing garden care and plant protection products for over 18 years. We are known for our innovative and easy-to-use, grow-your-own products. Now anybody can grow delicious home-grown fruits, vegetables, and herbs whether or not they have a garden.